This is my site dediacted to Jeeps, off-roading and my love of the two as a pastime. I have owned 6 Comanches, and have totally disassembled them, so I know my way around a Comanche or two. I have a section for my trucks, check it out. I will try to update this as much as possible. I have a few different sections, including a Your Rigs! section and an AWESOME history section, did I say it was good? I am also still working on my trucks, and will try to post the things I have done and some pictures to demonstrate, just to help out. Production numbers- You own 1 of how many produced that year? Got a Jeep Comanche? Email me a few pics, and a short (couple sentance) Background about your truck, like options, aftermarket add ons, special stories, or anything you think is important as a caption to your MJ! I have a few trucks on there now, maybe you can get yours on. 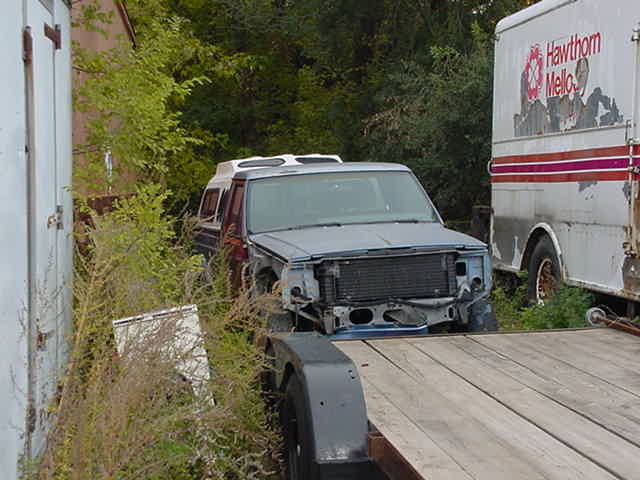 Shown on the right is 2 of my Jeeps, before I started restoration. The closer one is actually the beginnings of the black one at the top of the page! I have some time on my hands, and usually I will get back to you as soon as possible. Like what you see? Leave some feedback in my guestbook, all comments are greatly apprecitated. Hate what you see? I appereciate your comments on telling me what I could do to make it better.